You can’t call yourself an ardent gambling lover if you don’t know what card counting is. Nevertheless, the notion of card counting is highly complex, so let me help you understand what it really is and how it can help you win more at Blackjack. The whole story about counting cards started when Edward O. Thorp published his book “Beat the Dealer,” where he presented his technique that would provide an advantage over the house to players who try to apply it. Since then, this book has been considered as a gamblers’ Bible, as well as compulsory reading material for all who take gambling seriously. After Mr. Thorp had laid the foundations of the card counting strategy, there were many successful card counters who acted either solo or as a part of the team and managed to beat the house. Ultimately, they left the casino with loads of money. One of them is Andy Bloch, a member of the legendary MIT gang that made a fortune by counting cards at Blackjack. Bloch shared his knowledge and skills generously in his DVD about card counting. Moreover, there are numerous movies tackling this topic, like the documentary “The Hot Shoe” released in 2005. The anecdote says that the director used a chunk of this movie’s budget to test Bloch and Thorp’s strategy to see if it actually works. 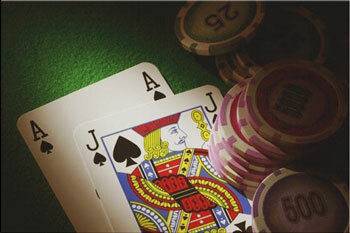 Blackjack is the favorite casino table game of many for all the good reasons. First of all, the gameplay is simple, and it doesn’t require devising a complex strategy. Secondly, this game has a low house edge. Finally, and most importantly, you can apply card counting strategies in Blackjack. The reason for this is simple — you only have a player and a dealer in this game, and there are specific cards that go in favor of each of them. For example, the player will be happy to see low cards leave the deck, whereas the dealer will be happy to see the opposite. More face cards and Aces left for dealing increase the player’s chances of getting Blackjack later on in the game or getting a better card if they decide to double down. On the other hand, the greater the number of low cards in the deck work in favor of the dealer because they can’t bust as easily as if they were holding 15 and had to draw a card. Additionally, players can’t get a Blackjack with lower cards. Now that you understand why it is a good idea to apply card counting while playing Blackjack, let’s move on and see how this method works. If you have thought that counting cards in a game is a complex and puzzling undertaking, you’ve been right. However, the strategy requires you to stay focused and to carefully follow through every card that’s placed on the table. If you dedicate enough of your time and energy to mastering card counting, you will be able to apply it in your game in no time. The simplest way to count cards in Blackjack is the so-called hi-low system. Using this method, you’ll count every low card (from 2 to 6) that leaves the deck as +1, while every face card or an Ace will be counted as -1. Sevens, eights, and nines will count as 0. Although, in order to do this right, you have to keep careful track of every card dealt during the game. If your final count is positive, this means that the odds are on your side and that you should place higher bets. However, if the score is negative, you don’t have an advantage over the house, so you should stay where you are. I know this may sound overwhelming to some of you, so I’ll give you a simple example to show you there is nothing to fear when card counting. Let’s presume there are three players and a dealer in a Blackjack game. 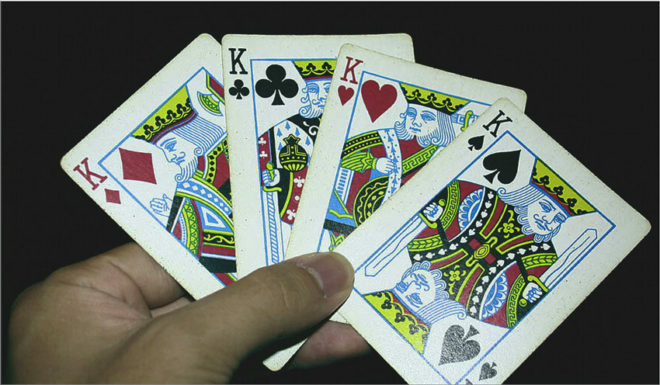 The first player holds an Ace = -1, and a 2 = +1, so the score of this hand is 0. The second player has a 5 and a Jack. You count 5 as +1 and a Jack as -1, and again you get 0. The third player has a 7 = 0, and a 2 = +1, meaning you have a +1 here. And finally, the dealer’s holding an 8, which is another 0. So you have three zeros and +1, which means your score is positive in this hand. Hence, you are in a favorable position, and you should raise your bet. People say that practice makes perfect, so if you want to improve your card counting skills, start practicing with one deck at first. And if you do everything right, you should get a 0 in the end. However, don’t worry if this is not the case — just keep practicing until you are ready to use this skill and win some real money with it. When card counting started gaining in popularity, the casinos thought of a way to make things more complicated for card counters. They started using multiple decks in games. The reason for this is simple — you can get in a favorable position more easily with a single deck in the game than when playing with six decks, for example. What I did in a previous example is called a running count. This count shows us whether it is the right time to act and raise the stakes or not. When there is a single deck in the game, it is pretty easy to make this decision. However, if you have, for example, six decks involved in a Blackjack game, you will get the right score by dividing your running count with the number of decks that are left in the game. For example, if your running count is six and you have two decks left, your true count will be 6/3=2. Card Counting strategy is not considered cheating, but it is frowned upon by casinos and their personnel. So when you want to use this method in your game, try to be discrete enough so that the pit boss doesn’t notice you. You don’t want to attract attention while card counting. Additionally, there is a so-called Wonging. That is a situation where you just hang out at the Blackjack table for a while and count cards, only to get into the game and place your bet when your running count shows the moment is right. However, the casino staff watches the course of each casino game at every table closely, so beware not to get caught doing this. After all, you don’t want to end up getting kicked out of the casino now, do you? Many casinos have prevented Wonging by forbidding people from betting in the middle of the shoe. Many Blackjack players have used the card counting system to improve their chances of winning big and succeeded at it, so why wouldn’t you? So make sure you prepare well, take your seat at the Blackjack table, and start counting.